Long and short term boarders welcome. 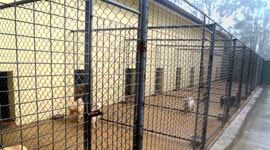 Our kennels are insulated for sound and temperature for your pet's comfort. 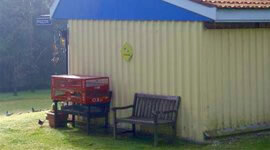 We have indoor and outdoor accommodation which is cleaned daily and disinfected. Hygiene is a high priority. Our dogs are fed a variety of fresh meat, dry food and cooked meat loaf. Long and short term accommodation available. Our large accommodating pens will make your cat feel at home. We have internal and external catteries. 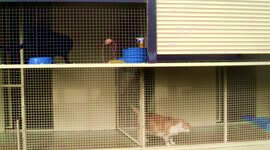 Our cats are fed daily and all facilities are clean and hygienic. Our lofts are one of the most successful racing lofts in the area. It's no wonder our homing pigeons keep coming back for more! Locate us on a map.